I want my brides and grooms to look at their photographs and remember the moments as genuine and real. I want you to shed some tears. I want your wedding images to forever be the most special thing you have in your home and I promise you, they will be. I do show up about a half an hour early to scope out the site but believe it or not, shooting at a new venue really does not change how I approach the day. I challenge myself harder when my surroundings are unknown. I’m a light chaser, so where there is quality light, we will be there. The time of the day, whether or not the sun is out and what time of the year it is, all contribute to where we will make the most compelling images. Duplicate images, test shots and photos with unflattering expressions will be discarded. I will never withhold an image that I feel my clients will appreciate. What if we do not want our photographs displayed on your website and/or social media? I've had about a half a dozen couples who initially requested this and then changed their minds once they saw their photos. If after you see your images and would still like to keep them private, I would be happy to do so. Can I order photos through you? Certainly! I have found a print lab that will not disappoint. You can order prints and other photo products through your gallery. I encourage my clients to spend a little extra to get top quality. Although you have the go-ahead to take your photos to a print shop, I highly recommend you using the printing service I provide. It’s always a shame to see photographs finished poorly. Your vibrant, 3-dimensional photographs could end up looking dull and flat if you take them into a nonprofessional printer. Yes! You will be granted access to a password protected, online gallery where you can download your photos. You will also be able to send this gallery to your friends and family so they can download the images too! The gallery has a cart ordering system and gives you the opportunity to order photographs if you wish. This depends on the collection you decide to purchase. 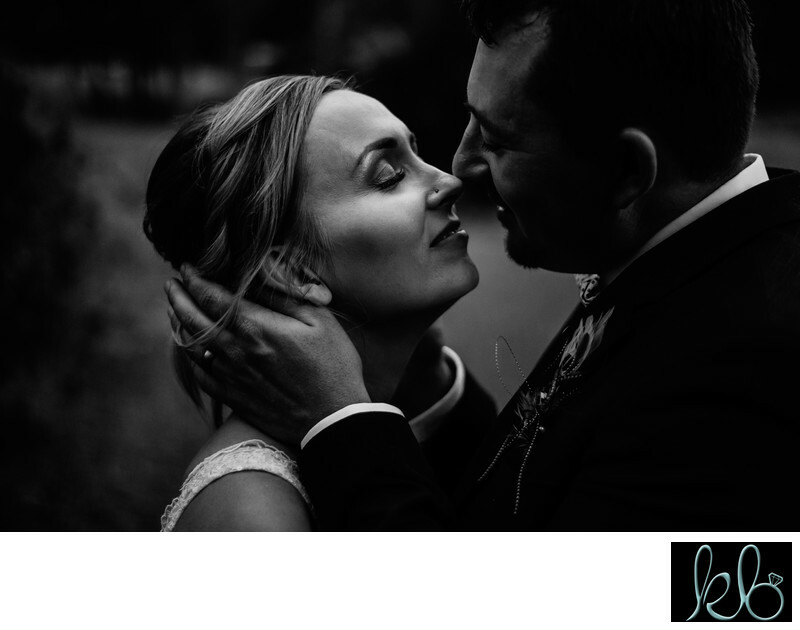 I base the amount of images on the length of time I shoot for at your wedding. A minimum amount of digital photographs that you can expect is 50 per hour. You bet! My job is not complete without making you an heirloom that you will cherish for the rest of your lives. You can be as much or as little involved in the album design process as you want. I take a lot of pride in my albums. The paper quality is amazing, but what really gets me excited is how true to colour the prints are to your computer screen. What you see on your computer is what you are going to get, unlike most albums where the colour is very dull. 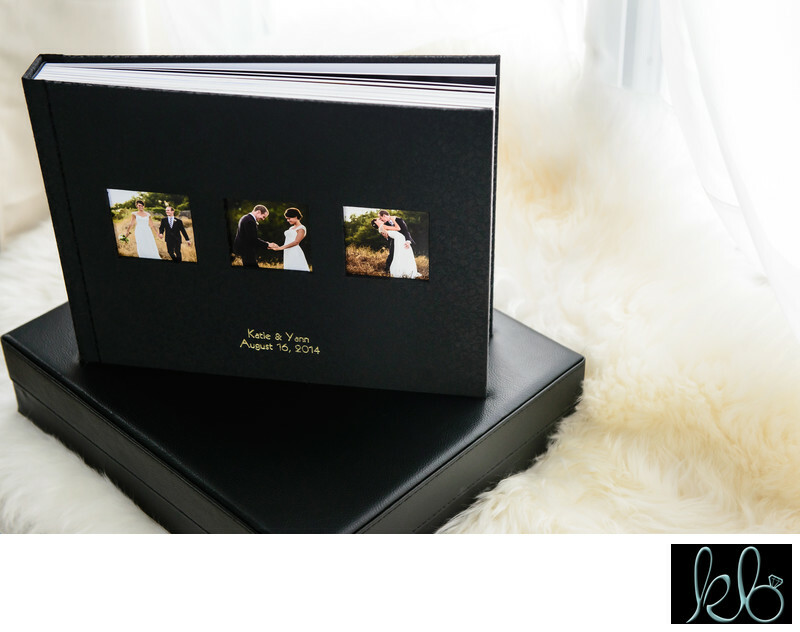 I do offer parent albums, which are a bit smaller and thinner. Check out the Albums page to learn more. What is involved in making the album? I first ask you to select your favourite images. I will use these photos as a starting point while designing the layout. The layout will be sent to you for confirmation. I will update any changes that you wish to make. I will then help you select an album cover material. 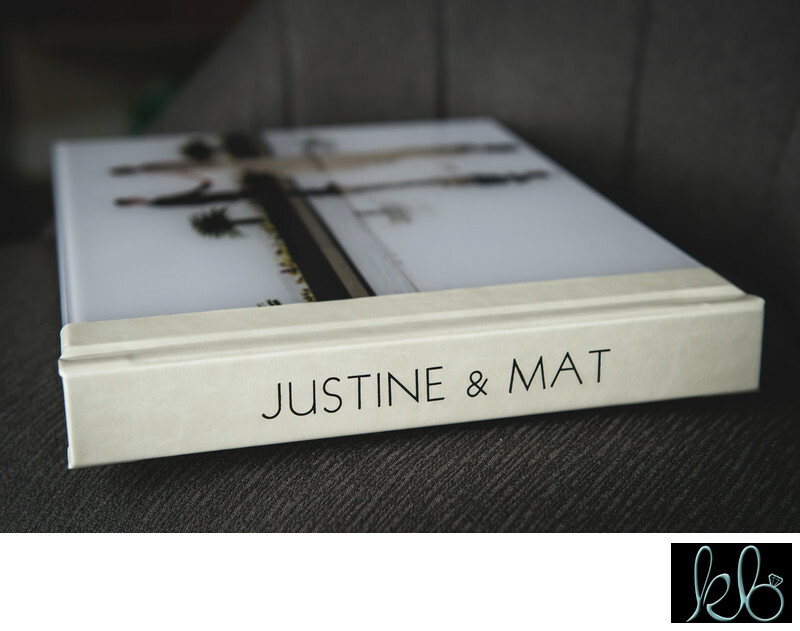 Can I customize my wedding photography collection? Although I have collections already designed, I do understand that every wedding is different which means a collection might have to be tweaked a bit to make it perfect for your wedding day. What is the "HD Slideshow" that you mention in your collections? 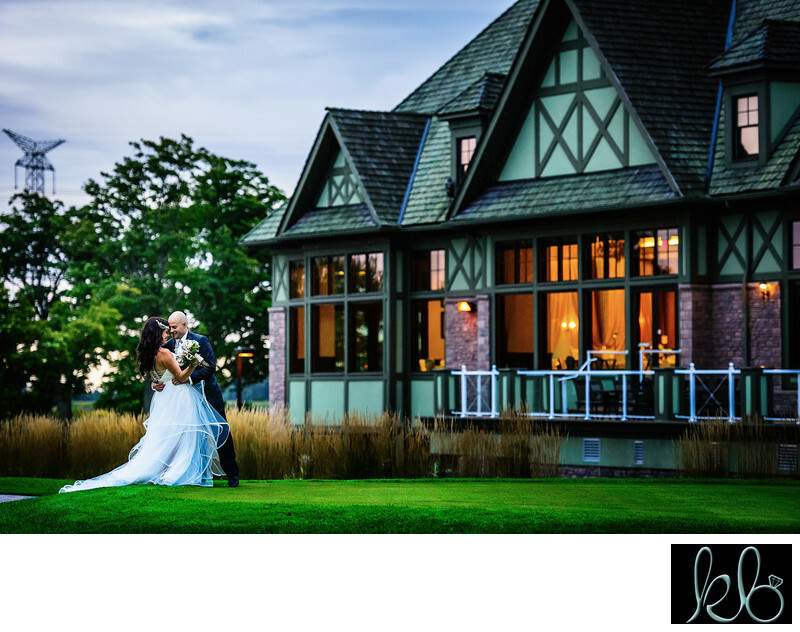 These are slideshows I design that are composed of a collection of about 100-200 wedding images and a handful of short video clips that flow seamlessly to two or three songs. 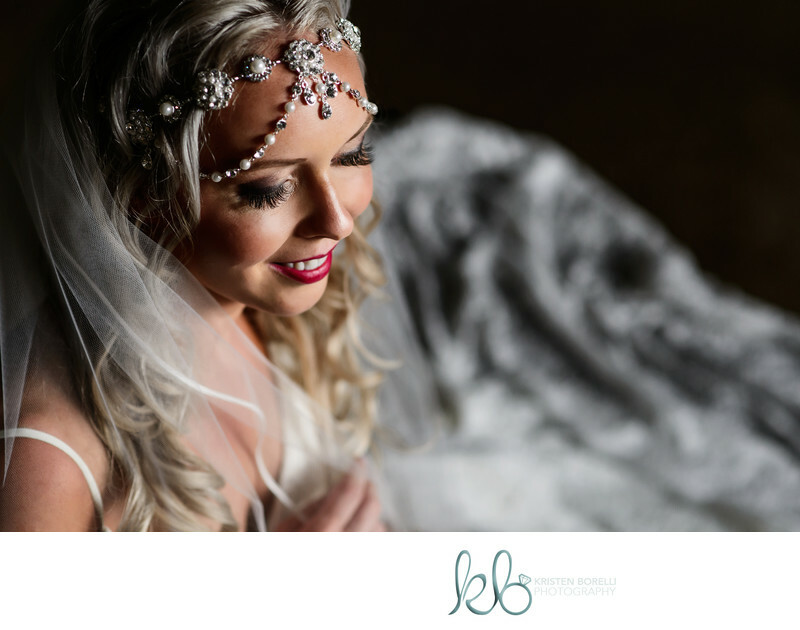 If you take a look at my past client reviews (over on my Reviews page or on my Kristen Borelli Photography google reviews), you will notice that this tends to be an emotional way of seeing your wedding photos for the first time. The slideshow is also is an excellent way of sharing your wedding photographs with your family and friends. I am always happy to show my potential clients examples of these. 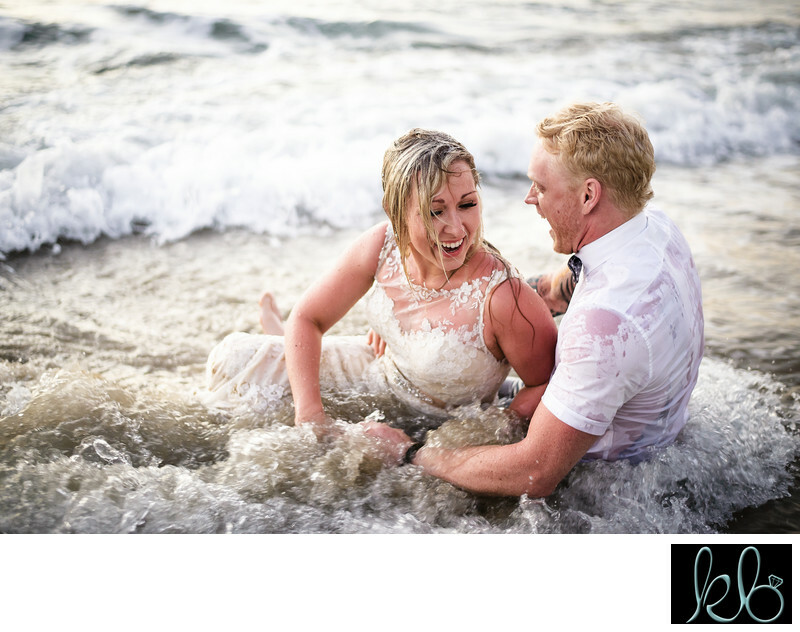 Will my digital images be watermarked? Absolutely not! You will have beautiful, ready to print images, free of any watermarking! Does our collection include full colour and black and white pictures? You will get most photos in colour, a few in just black and white a many in black and white and in colour. Is there somewhere I can go to see reviews on your photography services? Yup! Visit my Reviews page or head over to google and type in Kristen Borelli Photography. You will find countless reviews from my past clients. How long will it take to receive our digital photos? You will see a "sneak peek" within a week of your wedding. 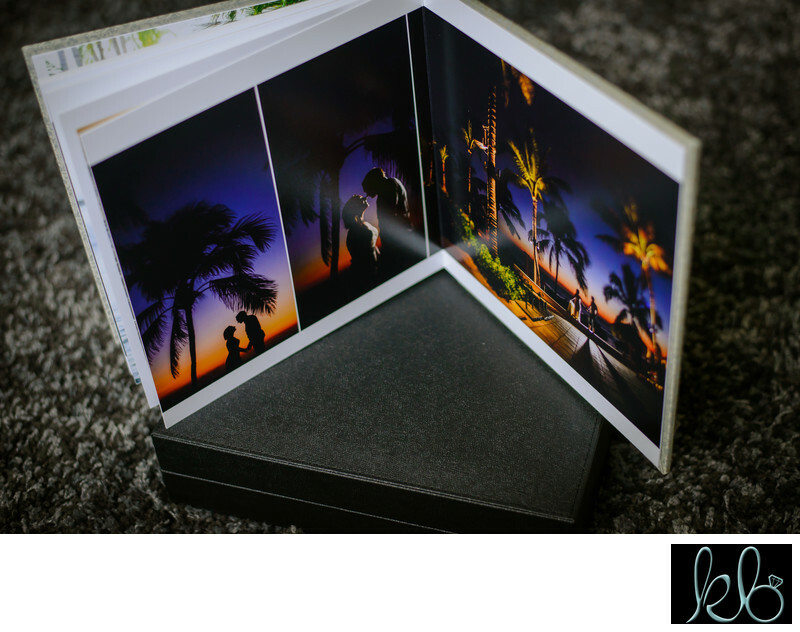 Your full gallery will be delivered 8-10 weeks following your wedding day via a USB and an online gallery. Engagement photos will take 2-3 weeks post session via an online gallery. Easy! The online gallery that I send to you can simply be forwarded to your family and friends. They will have downloading access as well as the option to order through my online store. Yes! I carefully edit each and every photo that is handed to you. This means that the photographs will have my signature post-production workflow applied to them. I never apply the same edit to a grouping of photographs. I believe in paying close attention to each and every image. Advanced editing will be done if the client has ordered an album (includes blemishes, fly away hairs etc.). 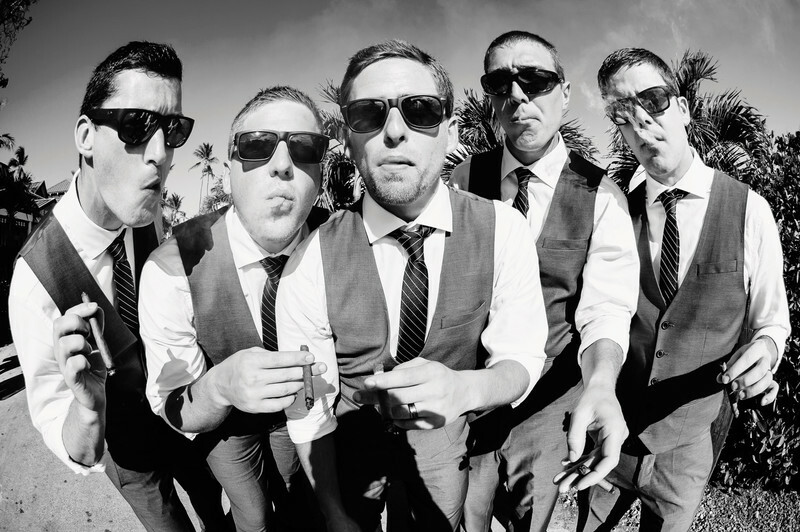 Generally I shoot between 15-20 weddings a year.. so I guess that puts me at nearly 100 weddings! 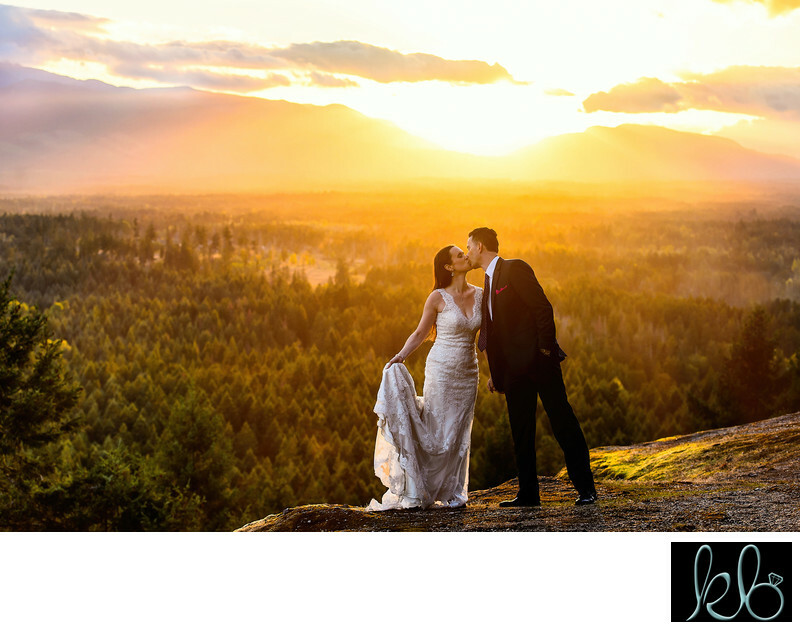 Travel costs generally do not apply to any wedding within a one and a half hour drive of Nanaimo. 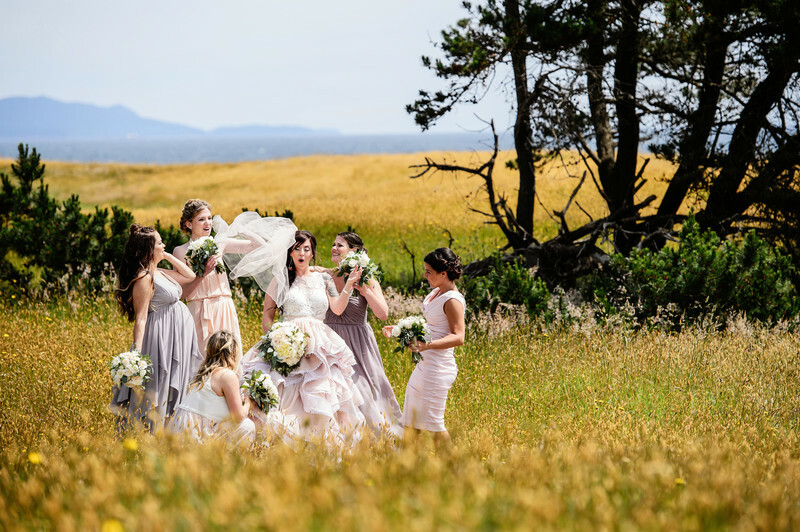 Weddings that take place in further locations such as Tofino, Ucluelet, Sooke and Mount Washington would require one or two nights of accommodation and weddings on islands off of Vancouver Island, such as Quadra Island, Thetis Island, Gabriola Island, Salt Spring Island and Hornby Island would require accommodation and ferry costs. I sure do! Not only has my job taken me all over British Columbia, it has brought me to places like Banff, Toronto, Cancun, Puerto Vallarta and Punta Cana to name a few! Please Contact Me and we can chat more about your wedding plans. A $1,000.00 deposit is required in order for your wedding day to be locked in. Particularly Saturdays in the summer months can be extremely popular so a payment is needed to secure your date. Yes! I bring an assistant to every one of my weddings. My assistant is there to hold lights, carry gear, help you with your dress, etc. They are not there to shoot. I do not have a second shooter. I have photographed almost 100 weddings and have never felt the need to hire another photographer. In five years I have yet to receive feedback about missing a moment. If you want to read over some of my Google Reviews, you'll probably notice many comments about how I tend to be a bit of a ninja, who is everywhere. Yay! Visit Contact and fill out the form there! Once you have decided on your collection, I will write up a contract for you. A $1,000 deposit is required to secure your date.